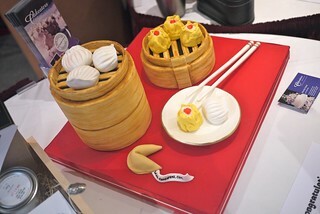 4th Annual Celebrity Dim Sum at Sun Sui Wah Seafood Restaurant in support of AIDS Vancouver on Main Street in Riley Park-Little Mountain on October 1, 2011. 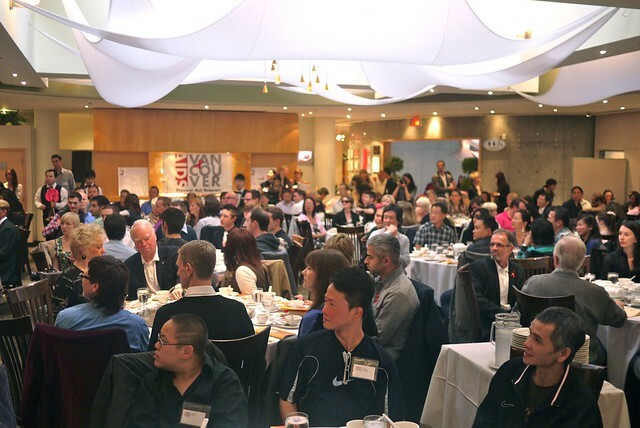 Hosted by CBC/UBC's Fred Lee and Global's Sophie Lui, this annual tradition of dim sum in support of AIDS research and treatment was a jam packed affair. I also really dug the musical performance by the Chinese instrumental Pentatonics and their rendition of the X-Men animated series theme song. 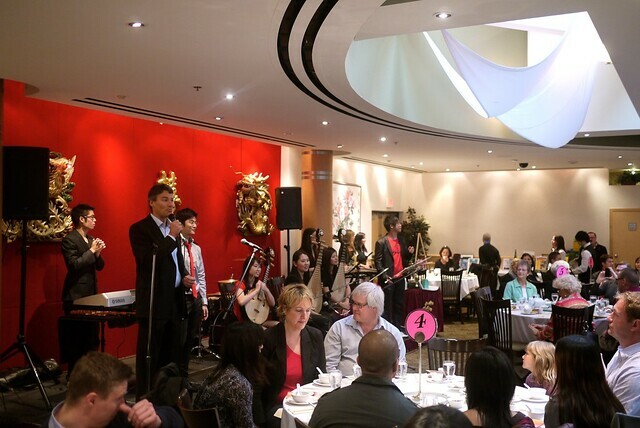 Mayor Robertson along with his political allies and opponents were in full force ahead of next month's civic elections, courting the Chinese and gay vote. 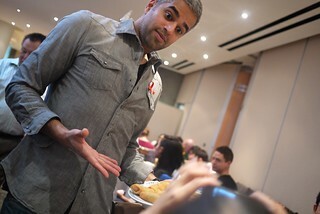 Each dim sum course was served by different local television, radio, and news personalities including Citytv BT host Riaz Meghji (above). 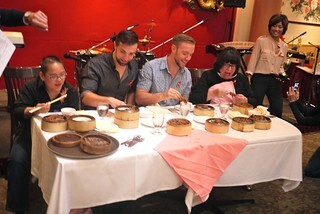 The morning affair even including a chicken feet eating contest. Vicki Gabereau did not look happy. 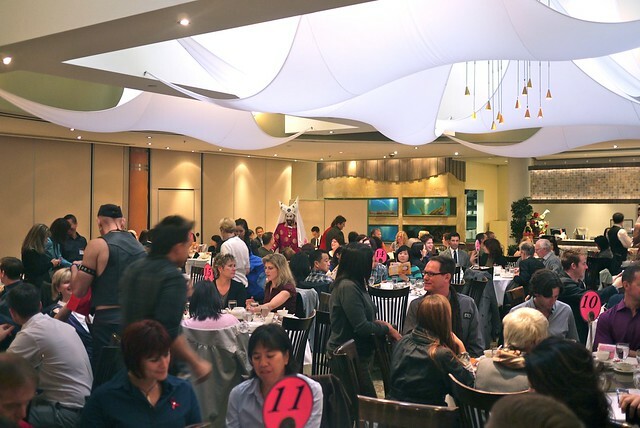 The Saturday morning event packed the Main Street Chinese food and seafood eatery. 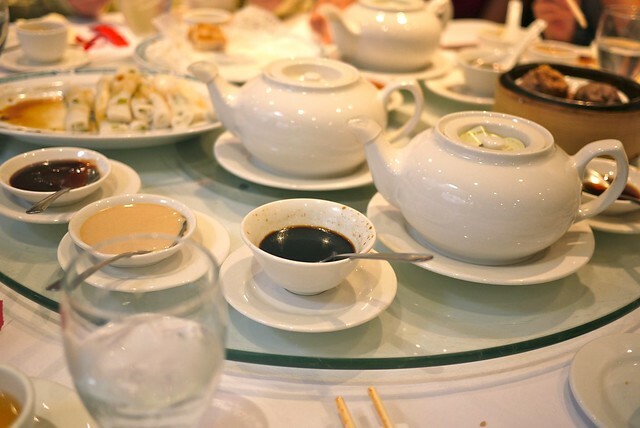 The dishes themselves were quite delicious and filling. 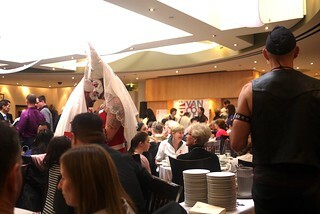 Everyone seemed to be having a great time for a good cause. I remarked to Sophia that Vancouver is one of the only places in the world (with San Francisco probably) that the Chinese community can come together with the gay community in support of a cause despite conflicting progressive and traditional values of each. I feel blessed and lucky to be a part of these open communities.